While we may not really consider the Pulsar 150 as an enthusiasts motorcycle as per 2018 / 2019 standards, it still remains a very popular mass market choice. And Bajaj is not giving up on the brand either. Bajaj Auto has now revealed the 2019 Pulsar 150 Neon collection which is nothing but new colour additions for this premium commuter. 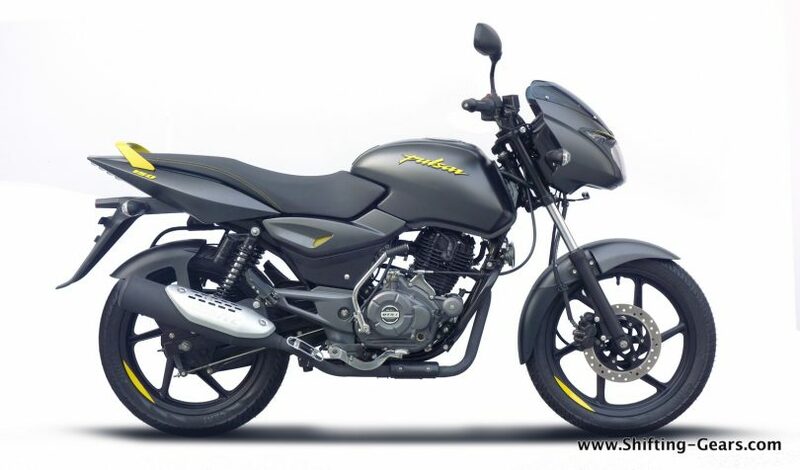 Prices of the 2019 Bajaj Pulsar 150 Neon start from INR 64,998 ex-showroom. Changes to this model are primarily cosmetic. What you get is new body paint scheme with different graphics. Neon Yellow on a matte black paint is our favourite, while you also have neon red & neon silver options. The bikes also get Neon headlamp eyebrows as the brand calls it, neon finished Pulsar logo, side panel mesh and the grab rail for the pillion. Even the alloy wheels get this neon coloured rim stripe aling with a new 3D logo on the rear cowl. Powering the Pulsar 150 is a single-cylinder, 149cc, 2-valve, 4-stroke, DTSI, BSIV compliant motor which produces 14 PS of power @ 8000 RPM and 13.4 Nm of torque @ 6000 RPM matched to a 5-speed gearbox. The bike has still not been updated with ABS, but this will surely be done by the end of March 2019. For now, the Pulsar 150 continues with a 240mm front disc brake and a 130mm rear drum brake.